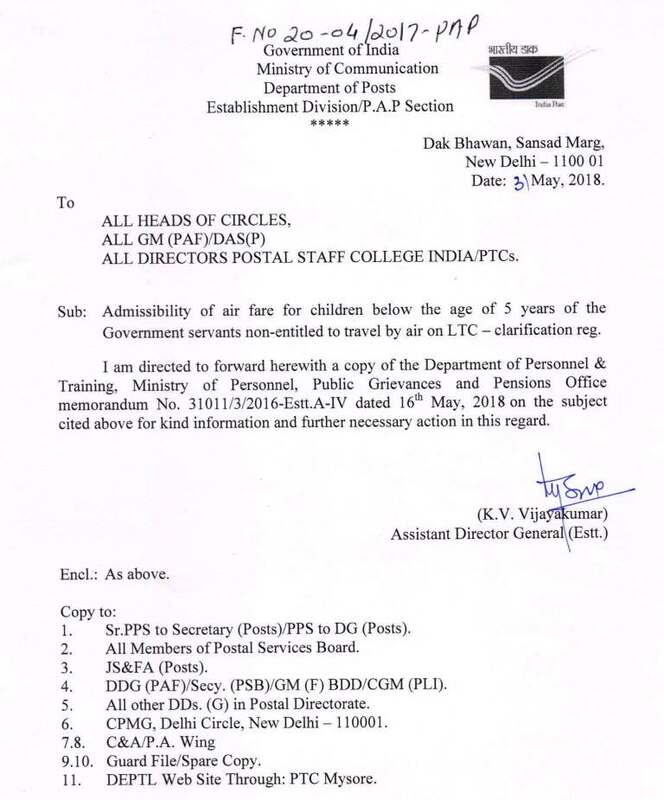 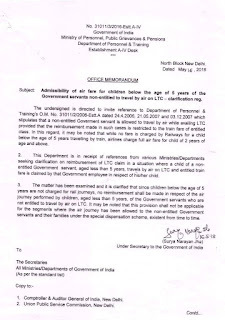 Sub: Admissibility of air fare for children below the age of 5 years of the Government servants non-entitled to travel by air on LTC - clarification reg. 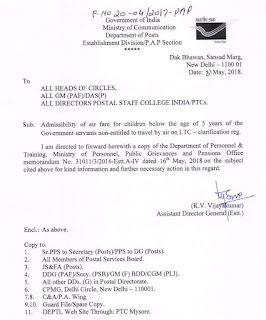 I am directed to forward herewith a copy of the Department of Personnel & Training, Ministry of Personnel, Public Grievances and Pensions Office memorandum No. 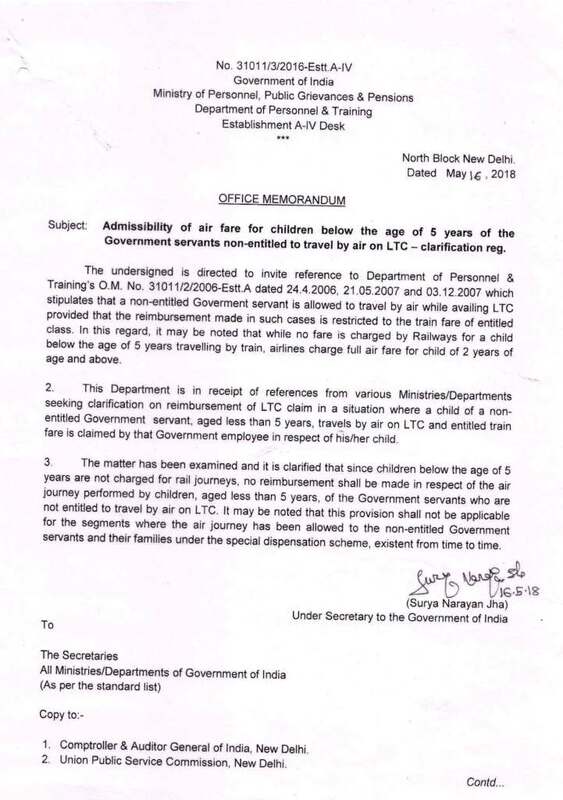 31011/3/2016-Estt.A-IV dated 16th May, 2018 on the subject cited above for kind information and further necessary action in this regard.